The SKS and AK established their reputation for unerring reliability while firing Russian steel cased cartridges like these. Although not reloadable, steel cases are much less expensive than brass ones and, with the help of modern friction-reducing polymer coatings, can achieve very good levels of reliability. Steel cased ammunition is primarily fired at outdoor ranges, as its magnetic components often make it unsuitable for indoor settings. 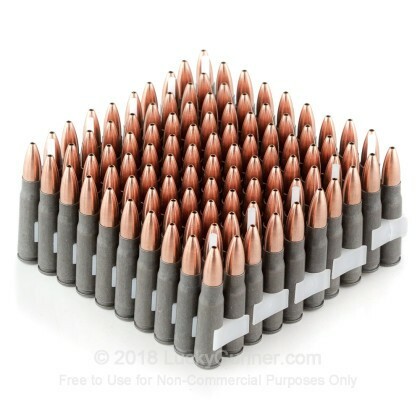 Each cartridge in this box of 100 fires a 124 grain hollow point bullet at a muzzle velocity of 2,330 feet per second. 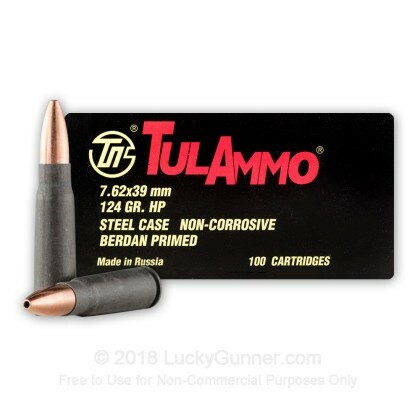 While not particularly advanced in design, this hollow point offers much better terminal ballistics than a full metal jacket projectile and gives this ammo potential as a low cost hunting round. 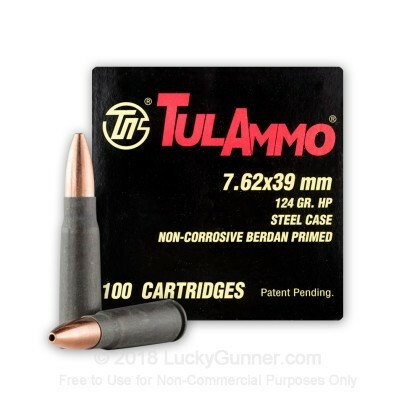 Tula ammunition is loaded in Tula, Russia (as the name suggests) and uses non-corrosive Berdan primers. I had come across this ammo about a year ago. I couldn't use it in a certain gun range for what ever reason. 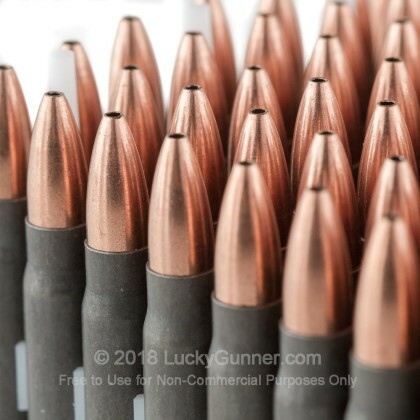 I went to another and i love this ammo. will be getting more. From my VZ2008 this ammo groups 1.5" at 100 yards. None of the other steel stuff groups better than 3". 700 rounds fired, no stoppages at all. I dropped a star for quality because its not brass competition stuff. 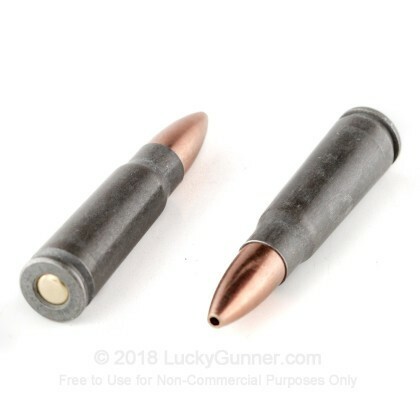 I've had expensive brass ammo shoot far worse than this. I received my order really fast. Considering I live about as far to the North West as you can get. I will be back. Thanks Lucky Gunner. 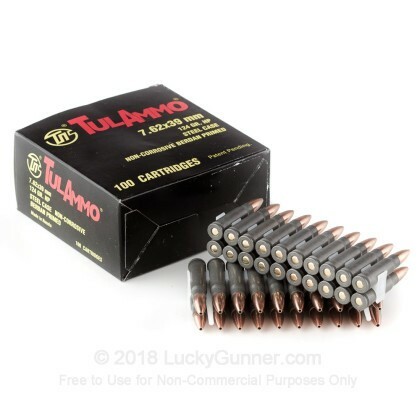 We also have this 7.62x39mm - 124 Grain HP - Tula - 1000 Rounds ammo in stock in a bigger quantity.